These greases are multi-purpose lubricants suitable for use in high pressure greasing equipment. Their pumpability ensures regular and easy flow through the fine bore pipes used in automatic systems. It may be used as a general industrial and automotive lubricant. It can be used for product rationalisation for many applications. These grease are available in five NLGI consistencies 000, 00, 0,1 and 2. The structure of the products is based upon a conventional lithium metallic soap, which will ensure compatibility with other lithium greases of a similar nature. These greases contain extreme pressure, anti-rust and anti-oxidation additives. The NLGI consistency number (sometimes called 'NLGI grade') expresses a measure of the relative hardness of a grease used for lubrication, as specified by the standard classification of lubricating grease established by the National Lubricating Grease Institute (NLGI). Lithium soap, often loosely referred to as 'lithium grease' or 'white lithium', is a soap that is a lithium derivative. Lithium soaps are primarily used as components of certain lubricant greases. Grease made with lithium soap ('lithium grease') adheres particularly well to metal, is non-corrosive, may be used under heavy loads, and exhibits good temperature tolerance. It has a high drip temperature and resists moisture, so it is commonly used as multi purpose or general lubricating grease. Extreme pressure additives, or EP additives, are additives for lubricants with a role to decrease wear of the parts exposed to very high pressures. Extreme Pressure (EP) additives work by reacting with a metal to form a comound that acts as a preotictive alyer on the metal's surface. Beacause this layer is softer than the meral itself, under extreme pressure conditions, the compound layer wears away first, protecting the metal. 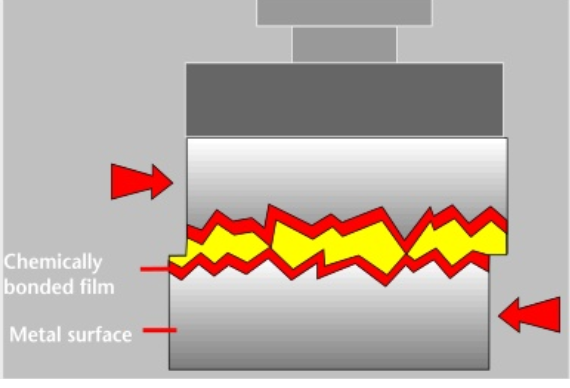 As this layer is removed, the EP additive acts to form another layer. Contact Multi Purpose EP 2 Grease Consultant in area Malaysia (Selangor(Klang, Shah Alam, Subang), Kuala Lumpur(Sungai Buloh), Sepang, Negeri Sembilan, Melaka, Johor(Johor Bharu,Muar,Batu Pahat), Pahang(Temerloh, Kuantan), Kelantan, Terengganu, Perak(Ipoh), Kedah, Perlis, Penang, Sabah, Sarawak), Indonesia, Singapore, Thailand, Philippines, Vietnam, Laos, Myanmar, Cambodia, Brunei at sales@davor.com.my.